The Aktiv X5 Self propelled is a lightweight aluminium wheelchair made for everyday use wherever you are. Accessories such as stump boards are available for this item. The back is tension adjustable for comfort and support. The Aktiv X5 Self propelled is designed to be carried in the boot of a car and is easily assembled and disassembled. 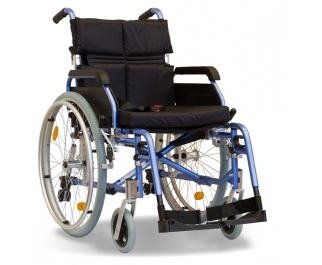 The Aktiv X5 Self propelled is crash tested for use as a seat on all public transport.